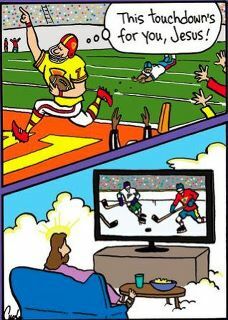 I found this humorous in light of all the controversy surrounding Tebow this year. Please accept it in the humor it is given. it would have been better if soccer was on the tube. but, funny none the less. As a big hockey fan, I love this! Whose Coffee Does Jesus Drink? Earliest Copy of Mark Found?